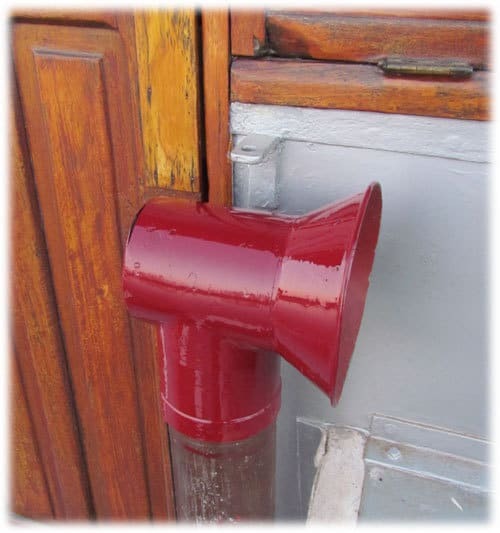 29th December 2013 – The engine room doesn’t smell well with the oil and water in the bilges. I mounted the air vents that came with the ship. 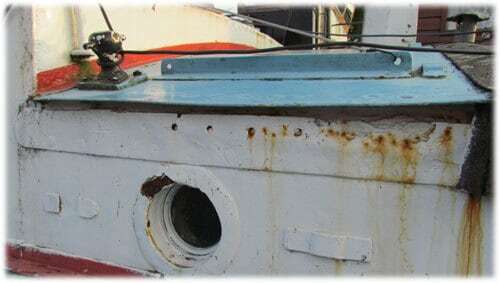 I hope with some fresh air, it will make it easier working in the engine room the next couple of weeks. 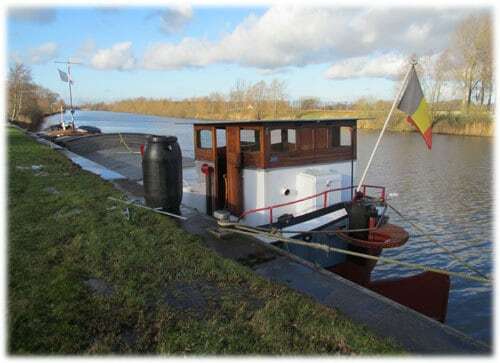 The mast at the back of my ship broke when I turned around in Merelbeke. A friend salvaged the mast and she is now back on the boat! 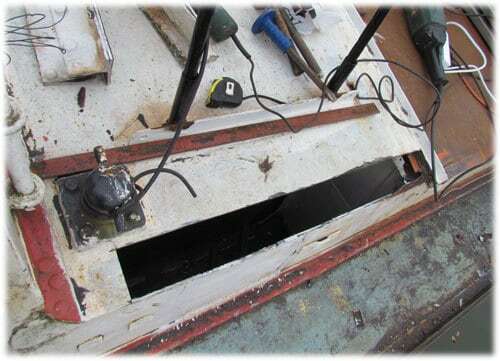 28th December 2013 – In the morning I used some silicone to close the bigger gaps in the wheelhouse. In the afternoon, my parents came to help oiling the wood on the inside of the wheelhouse. It now looks like a proper wheelhouse again! 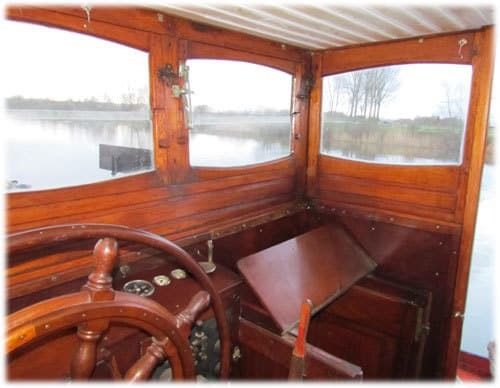 26th December 2013 – I finally managed to finish the wood work in the wheelhouse. She looks as good as she could. 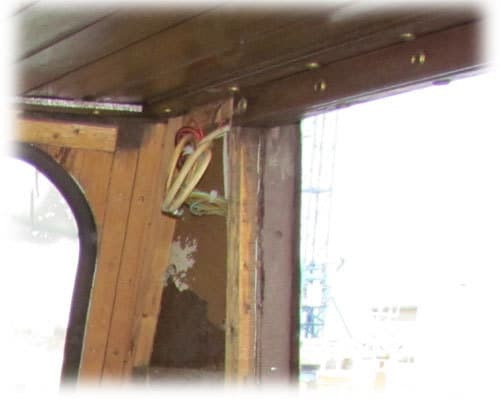 The metal beam in the middle is now covered with wood, old wood from the interior of the Hornblower. The wood is mounted with copper screws. 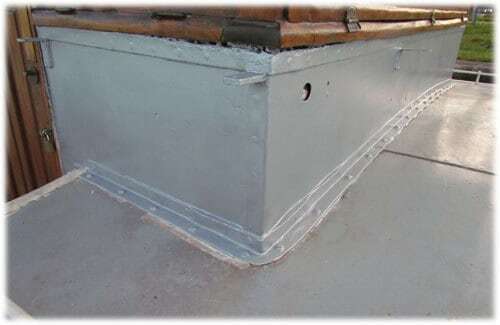 I reused the one I saved a few years ago when I dismantled the interior of my previous ship Hornblower. It is nice to know that the effort I made is now worth it! 21st December 2013 – Time to close some more holes in the accommodation. The back accommodation is not that brilliant. 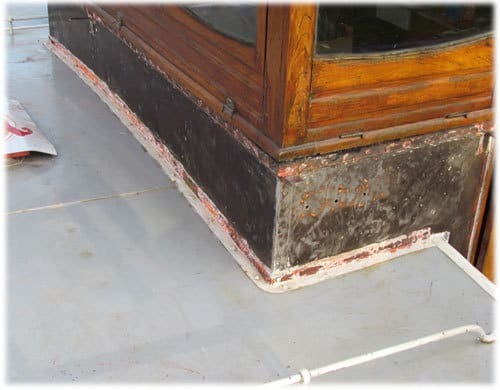 Since I want to restore it to the original state, the metalwork has to be replaced and remade as it was. I’m not riveting, but welding. There is a limit on my budget! 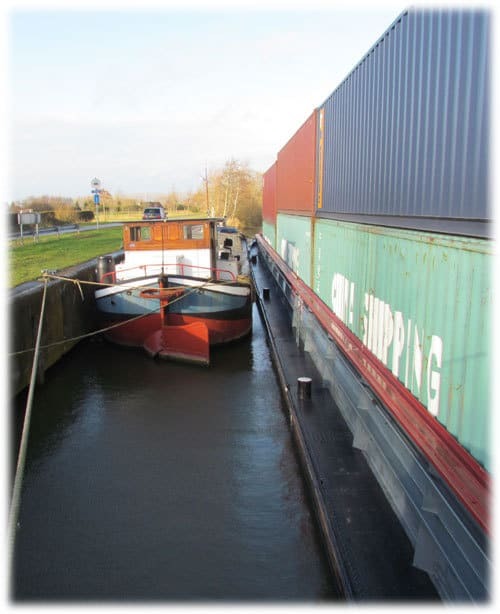 16th December 2013 – Since the weather is good, I’m insulating the wheelhouse. I can put my tools outside while working, no rain no wind! 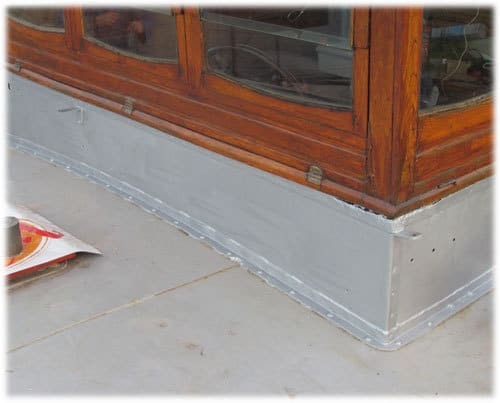 I’m putting three centimeters of PUR insulation sheets on the roof. On top of this, some t&g wood will make the finish. 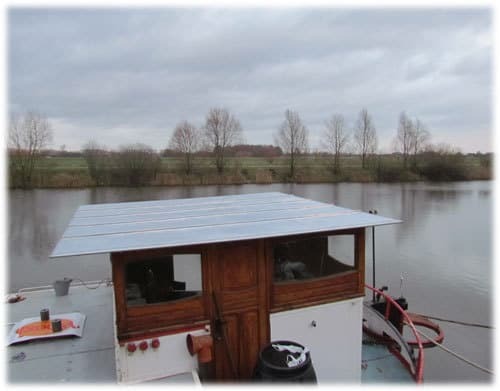 14th December 2013 – So after a busy week on other people’s boat, and a heavy night partying, it was time to start working again! 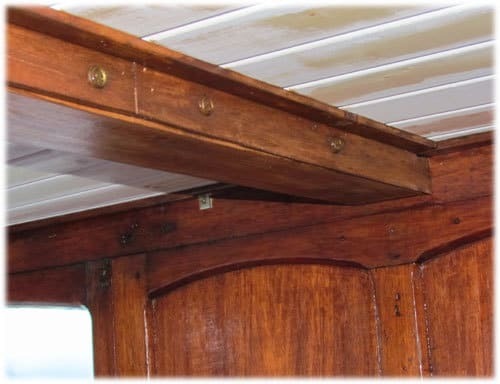 The plan was to continue on the floor, but a small leak in the wheelhouse decided me to alter plans. 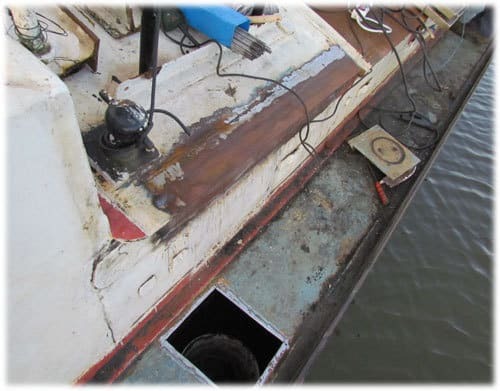 The metal underneath the wooden wheelhouse is gone. It has rotten away the last fifty years. 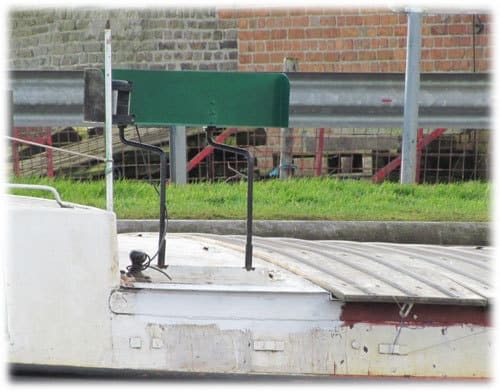 I could dismantle the wheelhouse and replace the metal. This is the best solution, but I don’t have the time and the courage to do so. I removed the old silicon, polyester and rust. I sanded down the metal, painted it and filled everything with a good quality polymer silicon.